Over the years I’ve made a virtual fetish of telling readers that stock market success comes from analyzing individual companies - not macroeconomic conditions. Yet in The Oxford Communiqué’s January Forecast issue, I stuck my neck out and predicted that the Fed wouldn’t raise interest rates in 2015. To wit: The third quarter’s 5% U.S. GDP growth was the strongest in more than a decade. Employment growth has clearly picked up with the jobless rate falling to 5.6% in December. The Fed ended its quantitative easing in October - and warned investors that it planned to take short-term rates higher. And, in anticipation, the dollar rallied to a nine-year high against the euro. How much more evidence do we need, they asked? And yet... every day it looks less and less likely that the Fed will raise interest rates this year. Which is good news for both bonds and stocks. True, third quarter economic growth stunned just about everyone. But it was a one-off. No one really expects the U.S. economy to perform that well in 2015. Why? Partly because growth is weak just about everywhere else in the world. Europe is stagnant. Japan is in recession. China is slowing. And other emerging markets are struggling with sharply lower commodity prices. No man is an island. And neither is any nation. In addition, oil prices tumbled to their seventh consecutive weekly loss last Friday. Since June, crude oil futures have plunged more than 50%, thanks to rising world output and lackluster demand growth. Stored supplies of crude oil and petroleum products in the U.S. hit the highest level on record last week, according to the Energy Information Administration. This, in turn, is leading to ever lower prices at the pump, another disinflationary factor. And consider that stronger dollar. It keeps a lid on inflation by making foreign imports cheaper and U.S. exports dearer overseas. Both make it tough for domestic companies to raise prices. In addition, the so-called five-year forward breakeven rate - a closely watched gauge that measures annual inflation currently expected by investors - just fell to its lowest level in more than 14 years. In short, investors are seeing slowing growth overseas, sharply lower energy prices, a stronger dollar, and stagnant wage growth and are asking themselves how likely it is that we’ll see higher inflation or short-term rates in the near future. Traditionally, the Fed takes away the punch bowl - raises rates - once the party gets into full swing. But this economic recovery - the weakest since World War II - is only just getting started, even though technically the recession ended almost six years ago. The Fed doesn’t want to squelch the recovery. And it really doesn’t want something else: weak demand causing falling prices. The problem with inflation is that it feeds on itself. As prices go up, consumers and businesses rush to buy before prices go higher, adding fuel to the fire. The same thing happens in reverse with falling prices. As the cost of goods and services drop, consumers and businesses hold off making purchases in anticipation of obtaining them more cheaply in the future. This, in turn, causes prices to drop even more. However, history shows it is much tougher to stop falling prices than rising ones. After all, you can raise short-term rates - as former Fed Chairman Paul Volcker did in the early ‘80s - and cool demand. But it is tougher to create confidence with lower rates. And those rates are already near zero. Monetary stimulus is still essentially at maximum capacity. In short, the U.S. in the 1930s and Japan for the last 25 years showed just how difficult it is to rein in deflationary forces. 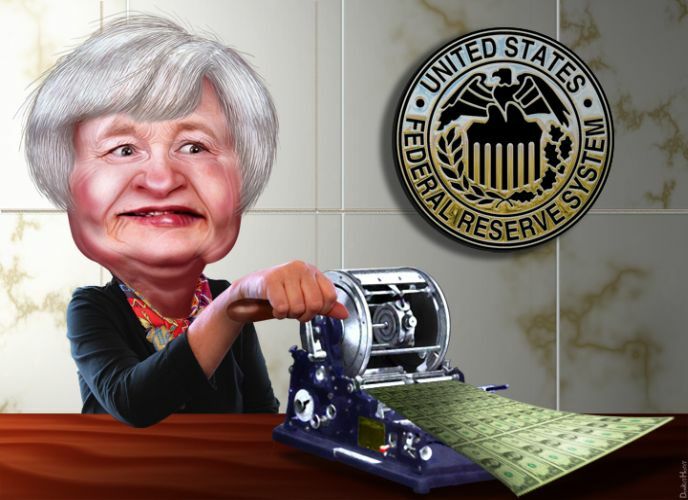 The Federal Reserve doesn’t want to fight that battle. And with inflation MIA, it doesn’t have to. That’s why short-term rates aren’t likely to rise in 2015. Have thoughts on the Fed or where interest rates are heading? Leave a comment below. Low interest rates aren’t just good for homeowners and businesses looking to refinance - dividend-paying stocks (and their investors) are also benefitting from the Fed’s plan. Which is why today we’re suggesting you look at ITC Holdings (NYSE: ITC). The largest independent electricity transmission company in the United States, ITC has spent the past decade working to improve America’s power grid. And at the same, it’s managed to increase its dividend 6% annually. The company should be able to continue this trend thanks to the current low interest environment and the fact that its return on investment (ROI) plan is closely regulated. “There's no reason to think that ITC's ROI will decline. As the company grows its unregulated business, ITC's ROI will continue to increase.” And that bodes very well for shareholders.